DT Swiss says: When you head into the unknown, whether on a 29er or a 27.5er, the HX 531 with its 30 mm internal width is the perfect choice. With an ideal position in the middle of the strength, to weight, to width range, it works with many tire sizes and is the ideal choice for all eMTB’s meant to be ridden on proper MTB terrain. Melody says: The HX311 is almost identical in stature to DT Swiss’s ever-popular EX511 rim designed for Enduro and Downhill riding. 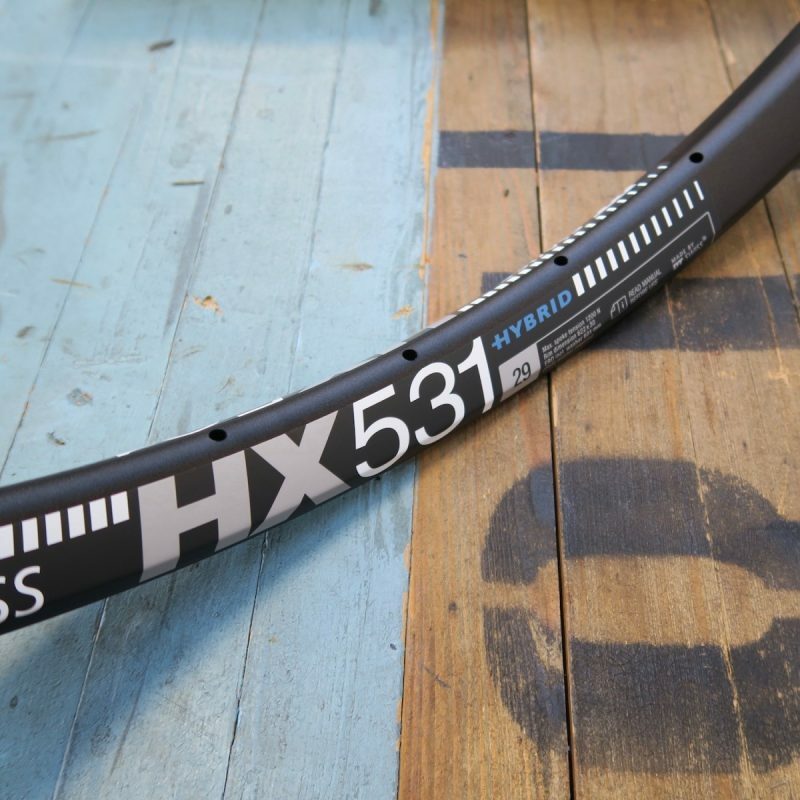 The key difference is the HX531 is slightly heavier and most of the addition weight has gone into reinforcing the rims spoke bed to accommodate the greater torsional loads of eMtbs. This is a premium Enduro rim designed specifically for growing eMtb riders.